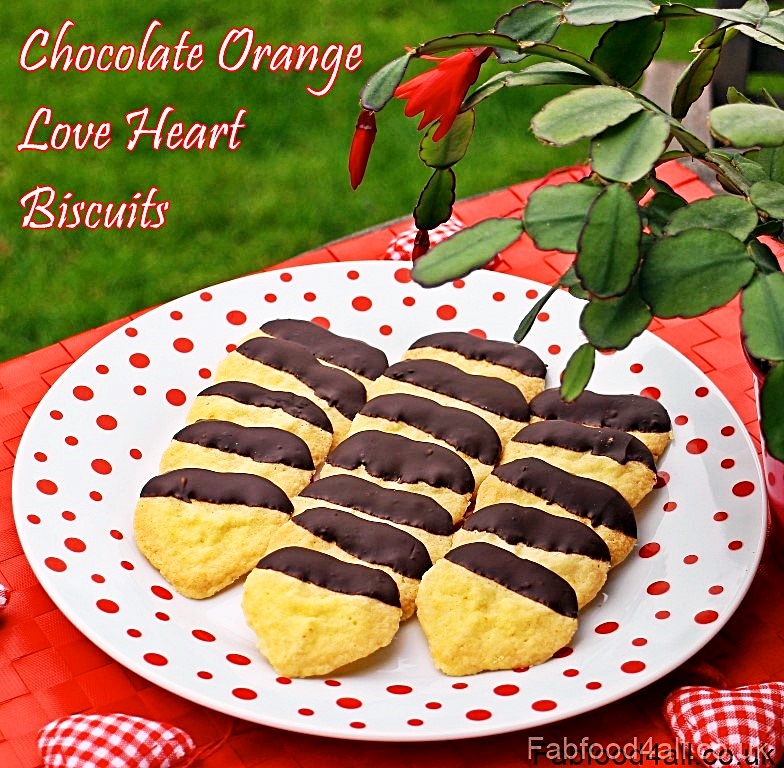 Today I’m sharing with you my Chocolate Orange Love Heart Biscuits. 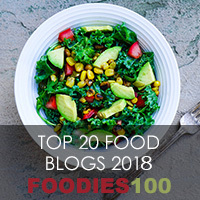 Valentine’s Day will soon be upon us so to mark the occasion I thought it would be nice to come up with a recipe that you can make to share with your loved one or the whole family. Better still get the kids involved with some mixing and chocolate dipping. Nothing says “I love you” more than a handmade gift or some home baked goodies! 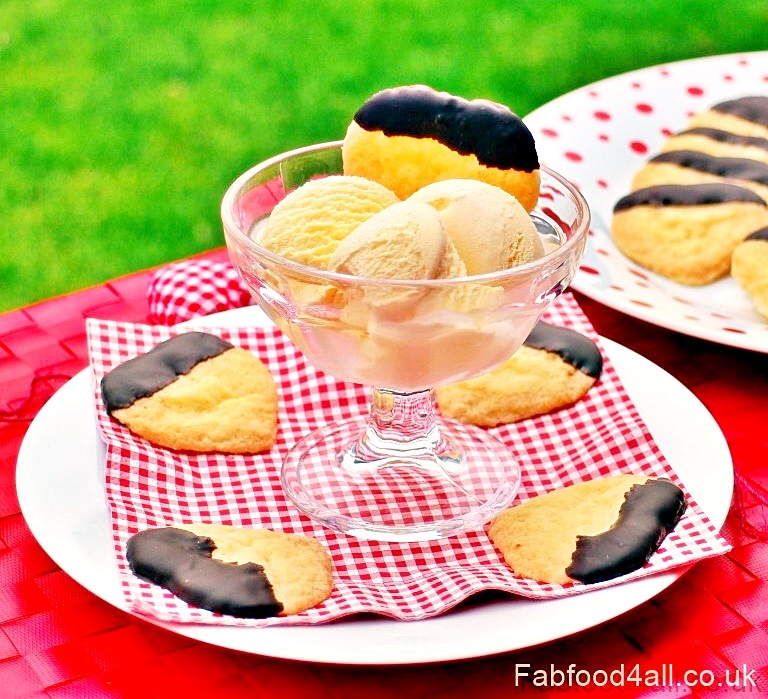 These Chocolate Orange Love Heart Biscuits are perfect to serve after a romantic meal with a cup of coffee (or in my case tea) or why not serve them with ice cream for that extra special touch? When my daughter got home from school I gave her a biscuit and her verdict was “I could eat all of these, the chocolate goes really well with the orange flavour”! My hubby and son also sang their praises. 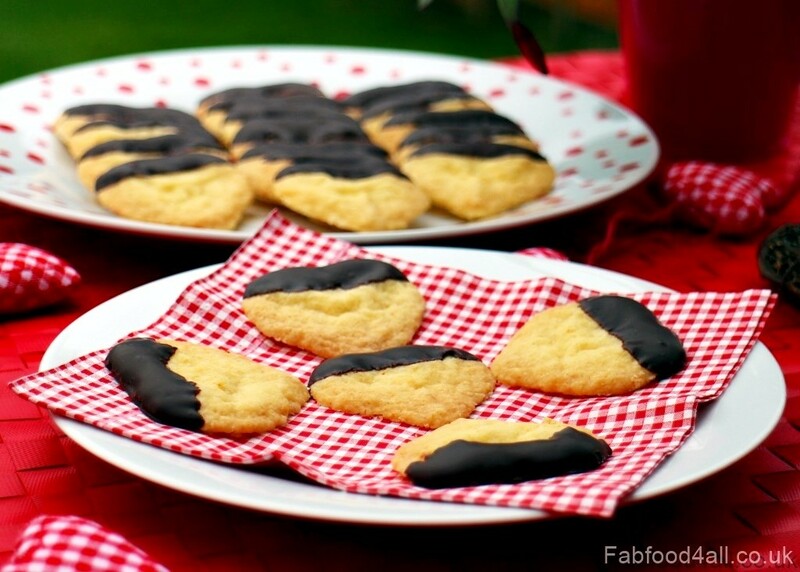 It’s a good job the recipe makes about 52 biscuits as they keep really well so you can enjoy them long after Valentine’s Day! You will need a cookie press to make these biscuits, you can read more about the Oxo Cookie Press and another of my cookie recipes Danish Vanilla Wreaths here. This biscuit dough is perfectly suited to the cookie press as there were no mishaps and all the heart shapes formed perfectly! For more Valentines inspiration why don’t you check out my Budget Valentine Chocolates or these kid’s Valentine Cookie Pops from Taming Twins! As these biscuits are much cheaper to make than any you can buy (plus I used a pack of reduced butter I’d had in my fridge for ages) I am entering Credit Crunch Munch which I run with Fuss Free Flavours and is being hosted this month by the lovely Elizabeth’s Kitchen Diary. I’m also entering the Biscuit Barrel Challenge over at The Lass in the Apron which is also hosted by I’d Much Rather Bake Than. Finally Love is in the Air over at the Treat Petite Challenge run by Cakey Boi and co-host Baking Explorer. 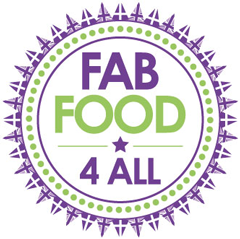 Sift the flour and cornflour into a bowl. Cream together the butter, icing sugar and orange zest until fluffy. Put half the mixture into a cookie press with heart shape plate. Press out cookie dough allowing room for spread onto an ungreased baking sheet. Repeat process with the other half of the dough. Bake in oven for 8 minutes or until lightly golden (turning tray after about 5 minutes). Allow to cool on tray for a minute before transferring to a cooling rack. Meanwhile melt the chocolate in a bowl over a pan of barely simmering water (the smaller the better). 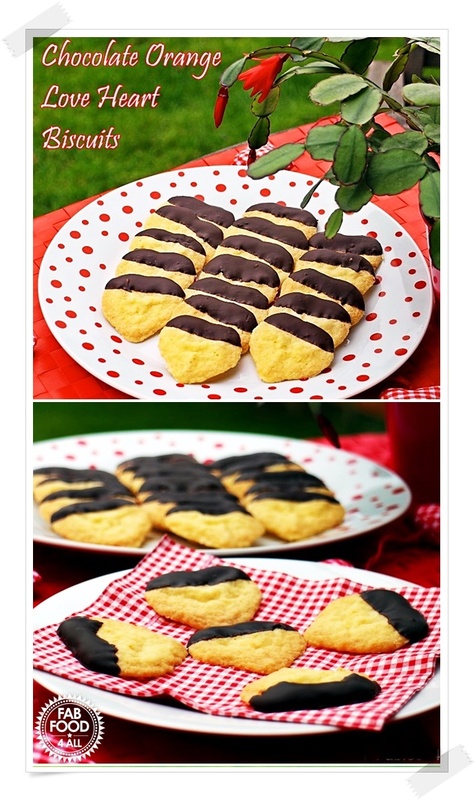 Dip the top of each heart biscuit in the chocolate to coat and place on a sheet of baking paper to set. Serve with a cuppa or a bowl of ice cream. If using a waxed orange/clementines make sure you wash off the wax well with either washing up liquied or vinegar and water. I know it’s not near Valentine Day but I loved the look of these so much, I had to post. Looking forward to making. My nieces will enjoy helping with the chocolate dipping – these are for any time of the year. These look delicious Camilla. If this wet weather continues, I know what I’ll be whipping up next Saturday morning! Thanks Julie – it might be snowing next weekend!